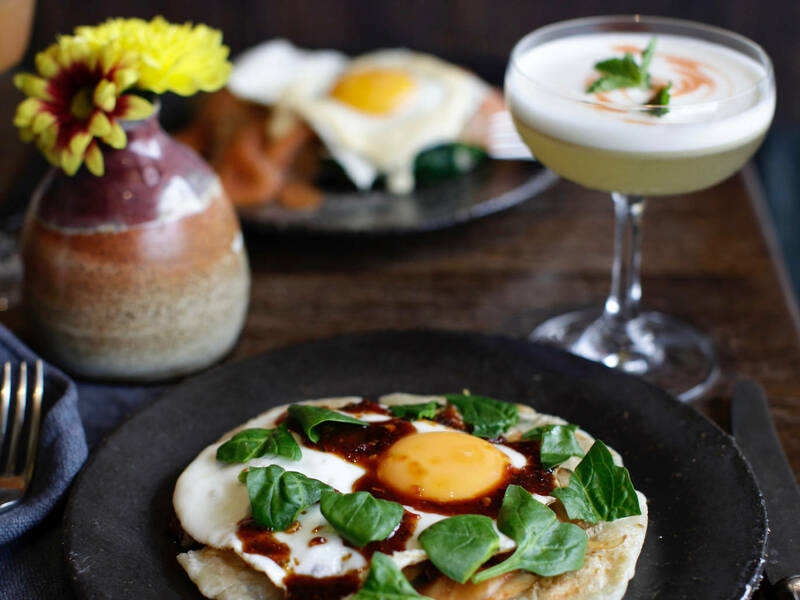 We don’t know about you, but by the time Easter weekend actually comes around, we have already made our way through a mountain of crème eggs, mini eggs, malteaser bunnies, and rice crispy chocolate nests… If you feel the same, here’s our rundown of the most Eggscellent brunches which London has to offer (see what we did there?! 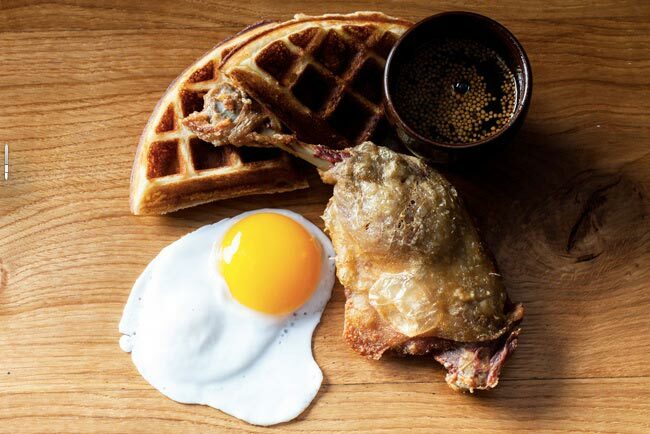 Situated on the 40th floor of the City of London’s well known Heron Tower is Duck & Waffle, one of the financial district’s most iconic restaurants. If you’re looking for fancy, you’ll find it here; with incredible views over london, complimented by a menu of mimosas, banana brulee waffles and duck egg en-cocote! Head to Jar Kitchen this Good Friday, where this independantly run restaurant will be serving a delicious Bottomless Brunch, made with the freshest of seaonally home-grown ingredients. If you’re all egg’d out, try the hot cross bun pancakes with earl grey icecream (yum!). 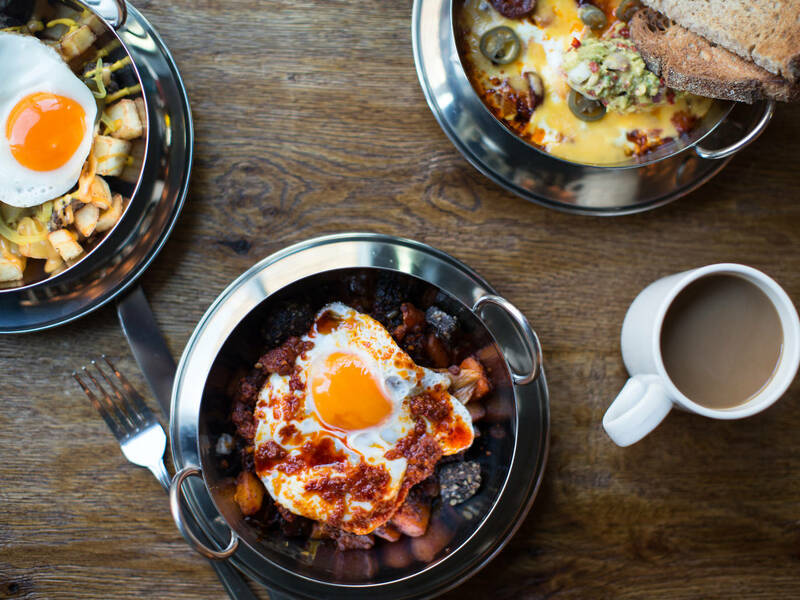 This place is seriously good value for money; bottomless brunch menu lets you choose three food items plus juices/soda/coffee for £22 and includes an option for unlimited cava, mimosas, or bloody marys which knocks the price up to £32.50. Our favourite dish is the Chilaquiles – Essentially nachos with goat curd and a fried egg. Nachos for breakfast? Now you’re talking. 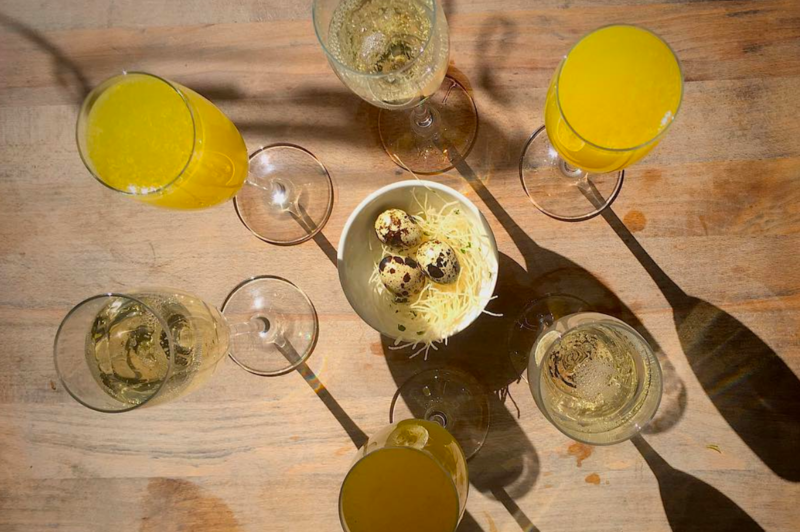 With Brunch on Saturdays only, this is your post-good Friday ticket to prosecco paradise. 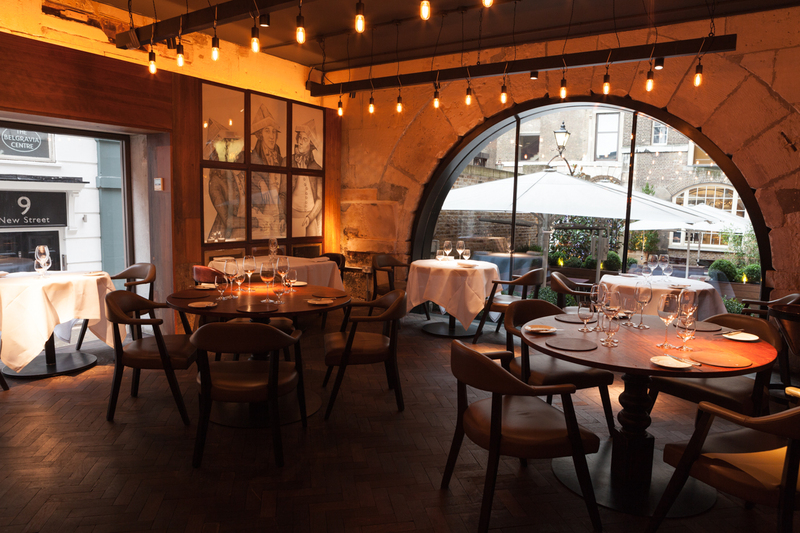 This city-slickers brasserie has a dimly lit members club feel, and a menu to match. Expect a hearty (and meaty!) menu full of english classics like scotch egg with black pudding, and cured salmon with mustard dressing. With sparkling sake, wasabi and sriracha getting in on the party, it’s a slap in the face of trad brunching, in a very, very good way. Bottomless house cocktails for one hour £14; bottomless bloody mary for one hour £17.